For a quick snack that takes only minutes to make, Angry Edamame is a great alternative to unhealthy chips and processed foods. 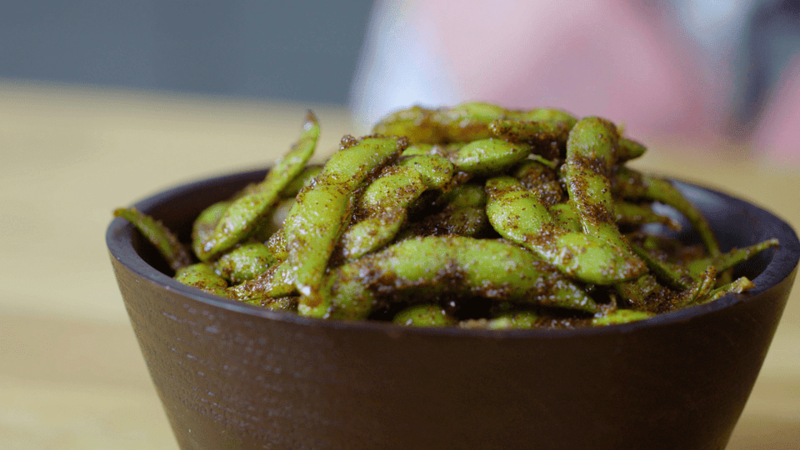 You can use fresh or frozen edamame pods for this recipe, just make sure you squeeze out the beans when you're ready to eat them. Whisk everything but the edamame in a bowl to make the sauce. Be sure to mix well.